Are you a First Nations, Inuit, or Métis woman from Canada who is committed to community development and social change? 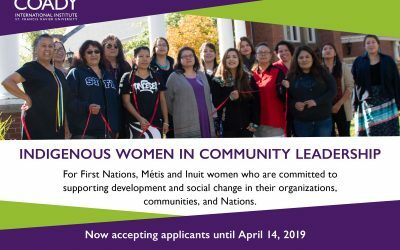 The Indigenous Women in Community Leadership program is now accepting applications for 2019. After attending a three-week intensive education program at Coady International Institute, located in Mi’kma’ki, the ancestral and unceded territory of the Mi’kmaq People (Antigonish, Nova Scotia), you will have the opportunity to lead a development project in your community with the guidance of an established mentor. This program uses Coady’s innovative and blended approach to asset-based leadership development, and prioritizes indigenous knowledge and ways of learning. 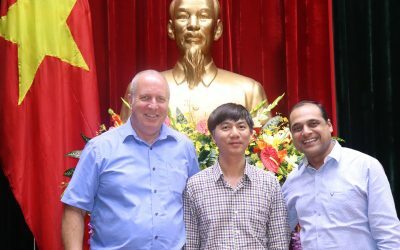 Now entering its ninth year, alumni from this program continue to make great strides in their communities. 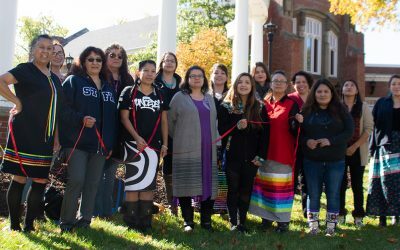 Fourteen Indigenous women leaders concluded Coady’s five-month Indigenous Women in Community Leadership program with a virtual graduation ceremony March 1.